Móra-BOOKR Kids Ltd., as the operator of the website www.bookrkids.hu, hereby notifies the visitors and registered users of the webpage about its data management practices, organisational and technical measures taken to protect the data, and the remedies made available for the users. 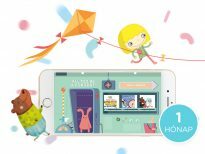 The data controller is Móra-BOOKR Kids Ltd. (seat: 1066 Budapest, 6 Jókai street), tax number: 25116195-2-42, represented by: Managing Director Dorka Horváth, telephone: 06 1 489-8893, hereinafter: Controller. The personal data are stored in our own dedicated server, guarded 24/7, located in the server room. During any visit to the website, the start and end times of the visit, and in certain cases, depending on the settings of the computer of the user, also browser data, operation system data and the user’s IP address, as well as the URLs of the entry and exit pages, will be automatically recorded. ON the basis of these data the system will automatically generate statistical data. Controller will not link these data to any other personal data, and will use them exclusively for preparing visitor statistics. The Controller has developed a two-level authorisation system for using the services. The website may be visited by anyone without the need to provide any personal data beyond the automatic data processing. The Controller requires registration for making purchase in the webshop and subscribing to newsletters. During registration users must provide a user name (a chosen name), the email address, a password, first name, family name and the city name. Registered users are entitled to add comments to the contents in the website, take part in competitions and subscribe to newsletters. From among the obligatory data the user name (chosen name) and the comments made may be disclosed to all visitors during the use of the services of the website. The processing of the time of the visit, the IP address and the browser and operation system data are inherent features of the system, they are technically necessary and their purpose is exclusively of statistical nature. The objective of processing personal data provided to the Controller during registration is the use of the services of the website and the communication between the service provider and the user. Such data will be used also in an aggregated manner for statistical purposes. During the purchase of the website, the purpose of managing personal data by data Controller is to improve the services of the website and to ensure communication between the service provider and the user. Such data will be used also in an aggregated manner for statistical purposes. If the user subscribes to the newsletter, then the objective of processing the email address is to forward the newsletter. If a registered user takes part in a competition, then the objective of processing the email address is to provide for the communication between the user and the administrator of the competition. With regard to newsletters, clicking on the check-box means that the user authorises the Controller to send messages with advertising content. Such authorisation is in compliance with the provisions of Act CVIII of 2001 on certain aspects of electronic commerce and information society services. Session IDs are automatically deleted upon the closing of the browser. The objective of sending cookies is to facilitate the use of the services of the website. The user may delete its own cookies any time. The session cookie is deleted upon the closing of the browser, voting related cookies are deleted in 24 hours, and any other cookies are deleted automatically in 183 days. You may delete the cookies in your browser any time. It is exclusively the Controller’s staff and agents that have access to the personal data provided by the users and automatically provided through the technical features. From among the data provided in the data form it is only the user name (chosen name) that is made public. The email address, password, first name, family name, gender, year of birth, occupation and city, provided by the user, are not public and not accessible by third parties. Controller will not transfer personal data to third persons, except its staff and agents. This does not apply to any statutory mandatory disclosures. Before fulfilling each data request by the authorities Controller will examine whether data transfer has a genuine legal basis, and if necessary it will consult the National Authority of Data Protection and the Freedom of Information. The users authorise Controller to transfer the personal data to its successor, while guaranteeing the level of privacy set out herein. If the user requests so, Controller will delete the personal data of the user before the transfer to its successor. For details see clause 6. If the password is lost or forgotten, Controller will send an email reminder. We will send you your password if you click on the Lost Password link and provide us with your email address. The personal data are stored in our own dedicated server, guarded 24/7, located in the server room of GTS Hungary. Please note that if you access the Internet from a place where several others use the same computer, you should log out after browsing in order to protect your personal data. Even if you visit our site by using your own computer, you should log out from the system each time. 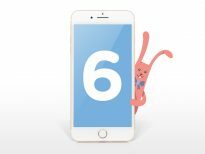 By logging out you can prevent others to make a comment or take part in a competition or subscribe to the newsletter on your behalf, or get access to your personal data. Any visitor and registered user may request information on the processing of personal data. Upon request the Controller will give notification in writing to the party concerned within 30 days about the data processed by it, the purpose, duration and legal basis of processing, the name and address (seat) of the person processing the data, and the activities relating to data processing, as well as the names of the persons receiving the data, and the purpose of providing the data for them. 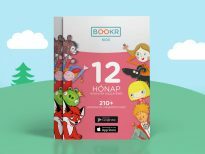 Anyone can request such notification by contacting the Controller at its mailing address or by sending an email to info@bookrkids.hu and certify proof of involvement and providing his mailing address. 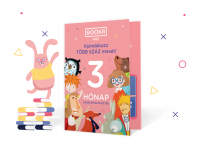 Users may protest against the processing of their personal data, and request the correction or deletion of their personal data at the mailing address of Controller, or by sending an email to info@bookrkids.hu. Data deletion or correction requested by email will be carried out at latest within 5 business days of the receipt of such request. Also the user can amend his personal data provided upon registration any time by clicking the My Profile button. With regard to the electronic newsletter the user may withdraw his consent to use his email address for such purposes any time. 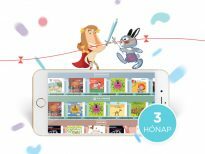 To that effect the user should send an email to info@bookrkids.hu or call the phone number 06 1 489-8893. The Controller will delete the user from the list of those having made a statement of consent on the business day following the date of the receipt of such request, and Controller will not contact the user with the purpose of sending a newsletter until the user repeatedly subscribes to the newsletter. Please contact us if you feel that we have infringed your privacy rights, so that we can provide remedy any breach. Please be informed that you may enforce your claim before a court, or request help from the National Authority of Data Protection and the Freedom of Information. It is the National Media and Communications Authority that is in charge of advertisements sent electronically. Detailed regulations concerning this issue and the obligations of the Controller and the rights of the party concerned are set out by Act CXII of 2011 on the right of self-determination relating to information and the freedom of information and Act CVIII of 2001 on certain aspects of electronic commerce and information society services. If you have any question about the protection of personal data, please send it by email to info@bookrkids.hu.